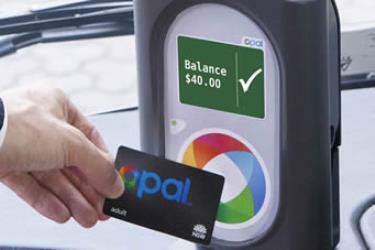 What is the cheapest way to get from Croydon Park to Strathfield? 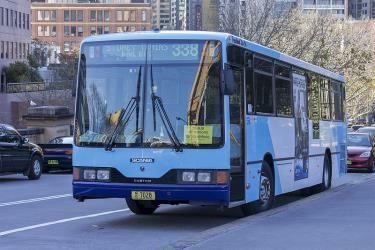 The cheapest way to get from Croydon Park to Strathfield is to line 464 bus which costs $2 - $4 and takes 8m. What is the fastest way to get from Croydon Park to Strathfield? The quickest way to get from Croydon Park to Strathfield is to taxi which costs $13 - $16 and takes 4m. Is there a direct bus between Croydon Park and Strathfield? 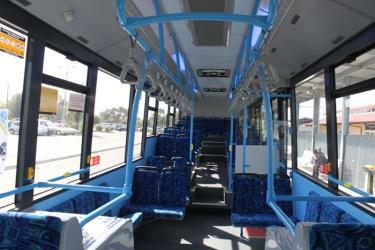 Yes, there is a direct bus departing from Georges River Rd At Balmoral Av and arriving at Liverpool Rd At Willee St. Services depart every 20 minutes, and operate every day. The journey takes approximately 8m. How far is it from Croydon Park to Strathfield? The distance between Croydon Park and Strathfield is 3 km. How do I travel from Croydon Park to Strathfield without a car? The best way to get from Croydon Park to Strathfield without a car is to line 464 bus which takes 8m and costs $2 - $4. How long does it take to get from Croydon Park to Strathfield? The line 464 bus from Georges River Rd At Balmoral Av to Liverpool Rd At Willee St takes 8m including transfers and departs every 20 minutes. Where do I catch the Croydon Park to Strathfield bus from? 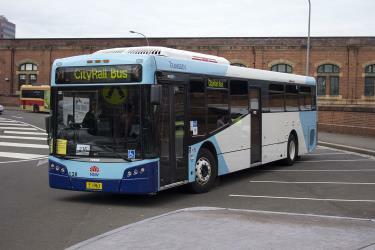 Croydon Park to Strathfield bus services, operated by Transport NSW, depart from Georges River Rd At Balmoral Av station. Where does the Croydon Park to Strathfield bus arrive? Croydon Park to Strathfield bus services, operated by Transport NSW, arrive at Liverpool Rd At Willee St station. Where can I stay near Strathfield? There are 2484+ hotels available in Strathfield. Prices start at $133 AUD per night. What companies run services between Croydon Park, NSW, Australia and Strathfield, NSW, Australia? 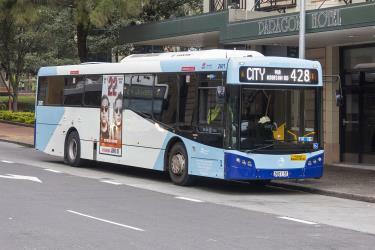 Transport NSW operates a bus from Croydon Park to Strathfield every 20 minutes. Tickets cost $2 - $4 and the journey takes 8m. Sydney Olympic Park is a large sports and entertainment complex in western Sydney. It is also an official suburb of Sydney, commonly known as Olympic Park but officially named Sydney Olympic Park. Sydney Olympic Park is located 16 kilometres west of the Sydney central business district, in the local government area of City of Parramatta. Stadium Australia, commercially known as ANZ Stadium and formerly as Telstra Stadium, is a multi-purpose stadium located in the Sydney Olympic Park, in Sydney, Australia. The stadium, which in Australia is sometimes referred to as Sydney Olympic Stadium, Homebush Stadium or simply as the Olympic Stadium, was completed in March 1999 at a cost of A$690 million to host the 2000 Summer Olympics. The current chairman of the stadium's Advisory Board is Robert Webster. Every year since the stadium was built, the New South Wales rugby league team's home games in the State of Origin series have been played there. Also the stadium has since hosted the annual National Rugby League grand final. ANZ Stadium also hosted the 2003 Rugby World Cup finals and Bledisloe Cup matches, regular Sydney Swans and Greater Western Sydney Giants AFL matches, as well as international soccer matches featuring Australia's national team the Socceroos, and exhibition games by Sydney-based A-League team Sydney FC. The stadium also hosted the 2015 AFC Asian Cup final. Brand new apartment in Burwood, close to train station! Rome2rio makes travelling from Croydon Park to Strathfield easy. Rome2rio is a door-to-door travel information and booking engine, helping you get to and from any location in the world. Find all the transport options for your trip from Croydon Park to Strathfield right here. Rome2rio displays up to date schedules, route maps, journey times and estimated fares from relevant transport operators, ensuring you can make an informed decision about which option will suit you best. Rome2rio also offers online bookings for selected operators, making reservations easy and straightforward.